Mario Cortez Presents Studio Photography. 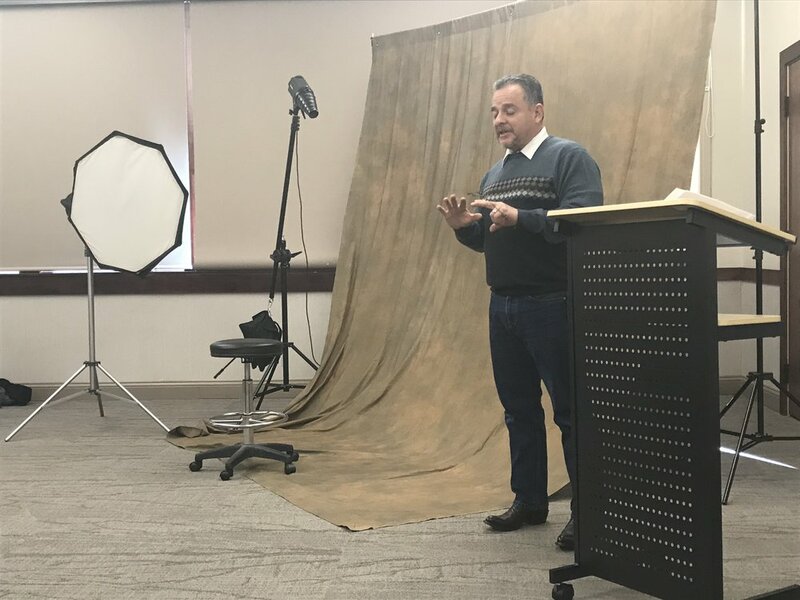 Many thanks to Mario Cortez for taking his time to put on a studio portrait class for the club. The class included Mario's philosophy on lighting and post-processing. Mario demonstrated use of a three light setup including the key light, fill light and the hair or separation light. He explained each including photos of the effects of each. All attendees were encouraged to use the setup to photograph our models. After everyone had an opportunity to get some photos using the studio lighting Mario then demonstrated the use of natural window light to accomplish a similar looking photograph. After the shooting was completed Mario demonstrated his workflow for post-processing the images. I believe everyone had a great time and went home with some great information that will be used on our next studio shots. I would also like to thank the Sandwich Library for the use of their meeting room and our models Jennifer Hagemeyer, and Bridget Fox. Do you know what droplets are?